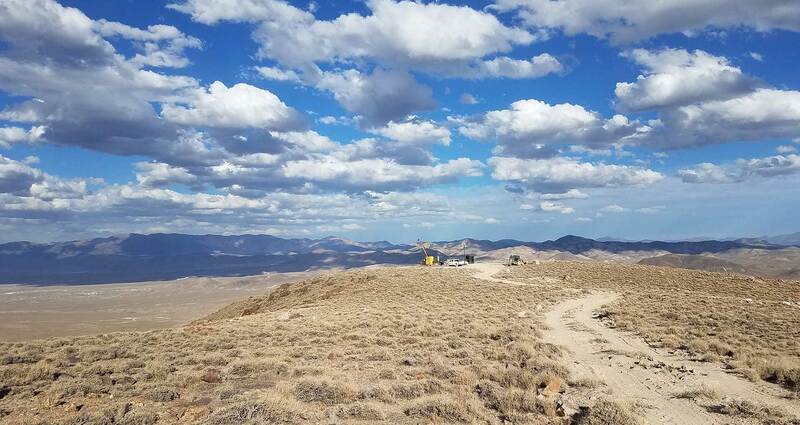 Las Vegas, NV - Patriot Gold Corp. (PGOL:OTC), a gold resource and exploration company, today announced initial results from channel samples taken underground near the vicinity of the Allen Shaft at its Moss Gold-Silver project. The underground sampling is being conducted by Patriot Gold's project partner, Northern Vertex (TSX.V:NEE), a Canadian-based gold exploration and development company. Channel samples were taken at five foot intervals across the roof of drifts and cross-cuts on the -60 level. "We are very pleased with initial assay results from the sampling program," said Dr. Bob Thompson, Chief Geologist of Northern Vertex. "The underground workings observed at Moss are far more extensive than originally anticipated. Current results are consistent with and support our previous Phase I and Phase II drill results which showed 1.5+ gpt gold equivalent grades extending across the Moss Gold-Silver system. The main drift east averaged 4.73 gpt gold equivalent over 6.1m and stopped in 7.58 gpt gold equivalent mineralization. We expect these consistent and continuous high-grades encountered underground will play a significant role in further boosting the size and grade of our established Gold-Silver resource as we continue our resource expansion program underground and to the west of the Moss Gold-Silver system." "Combined with the strong results we saw from Phase I and Phase II drilling, the initial results from our underground sampling further boost our enthusiasm and confidence in the commercial viability of the Moss Gold-Silver project," said Bob Coale, CEO of Patriot Gold. "We look forward to obtaining additional underground sampling results and moving towards a production decision in the near future."